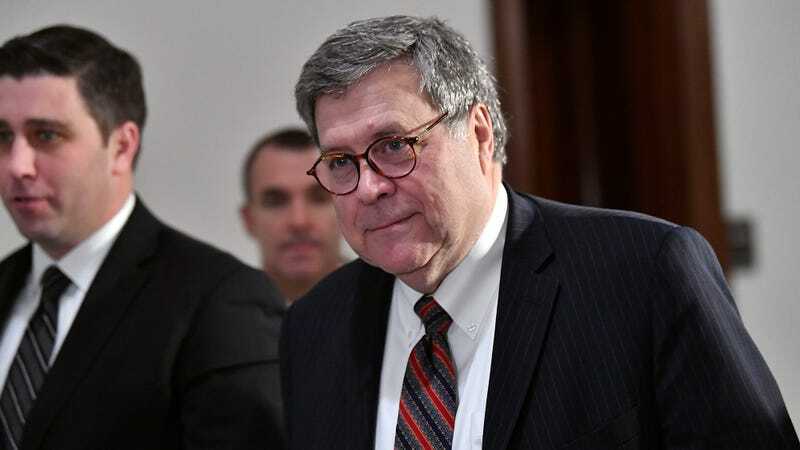 WASHINGTON—In an effort to prepare the nominee to speak in front of the Senate, advisors to Donald Trump’s attorney general pick William Barr reportedly instructed him Monday to avoid referring to the president as “my liege” during his confirmation hearing. “Mr. Barr, we recommend you eliminate the phrase ‘His Excellency’ from your testimony altogether,” said Chief Advisor Graham Johnson, who urged Barr to maintain an appearance of impartiality by abstaining from lying prostrate on the floor and muttering “long may he reign” whenever the president’s name was mentioned. “We want to make sure you don’t tip your hand on your views regarding presidential authority, so to that end, calling him ‘The President’ or simply ‘Mr. Trump’ is sufficient—there’s no need to add titles like ‘The Most High, Most Sacred, Most Powerful.’ Additionally, we’d suggest you keep any opinions about Trump having been ordained from on high by God himself close to the vest.” Johnson further cautioned Barr that it could lead to poor optics if he greeted Trump during their next meeting by kissing the hem of the president’s pant leg and swearing his undying fealty to the one true ruler.